First up, let’s chat about one thing we’d all like to pretend that we don’t do (and usually try to avoid at all costs! )…stinking up the bathroom at someone else’s house. It’s kind of my worst nightmare and you can bet that your house guests will be feeling the same way too. 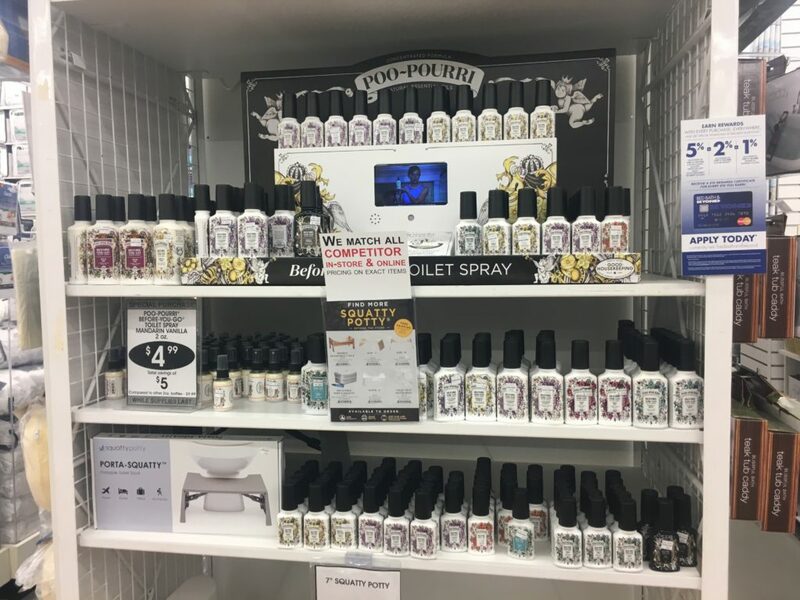 I remember first seeing the advertisements for Poo~Pourri Before-You-Go® Toilet Spray. They were hilarious, but I was also intrigued. Did this stuff actually work? So, I stepped out and purchased a bottle. And I wasn’t the only one either. A few people stopped by the display, while I was checking out the different scents, and picked up a few of their own! I tried it, I loved it, and I’m totally sold now. It’s an added comfort that is easy to use, is all natural, and something your guests are really going to appreciate in case nature calls. There’s a reason that Poo~Pourri has received over 5,000 5 star reviews! It’s really easy to use too. Spray three-five sprays into the toilet bowl onto the water’s surface before using. 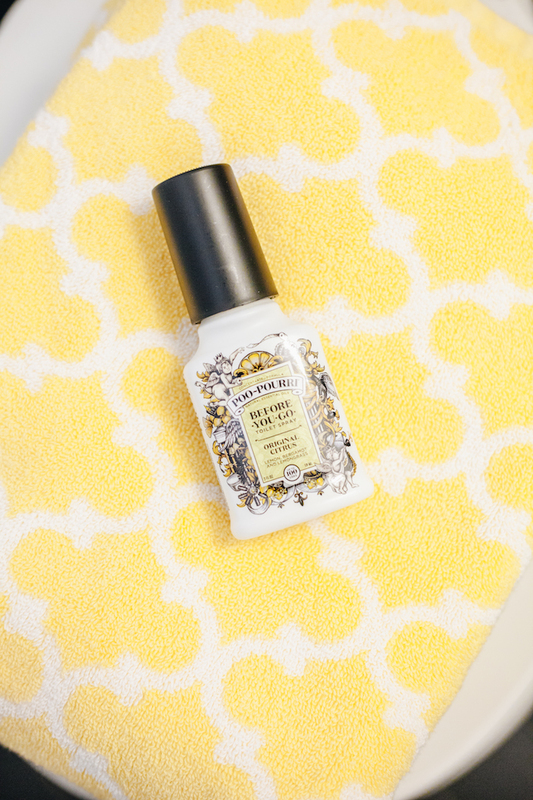 Poo~Pourri’s pure blend of NATURAL ESSENTIAL OILS creates a film on the surface of the water. The protective barrier traps the odor under the surface before it ever begins, so all you smell are the refreshing natural essentials oils! Cool, right? If you want to stick to some traditional scents, a few of my favorites include Lavender Vanilla, a comforting blend of lavender, vanilla and citrus and Original Citrus (their most popular scent! ), an uplifting blend of lemon, bergamot and lemongrass. You can also shop for the exact same items that I purchased online! Hover over the photo above to purchase them at Bath, Bath, and Beyond.com! Buy it because it’s funny, use it because it works! 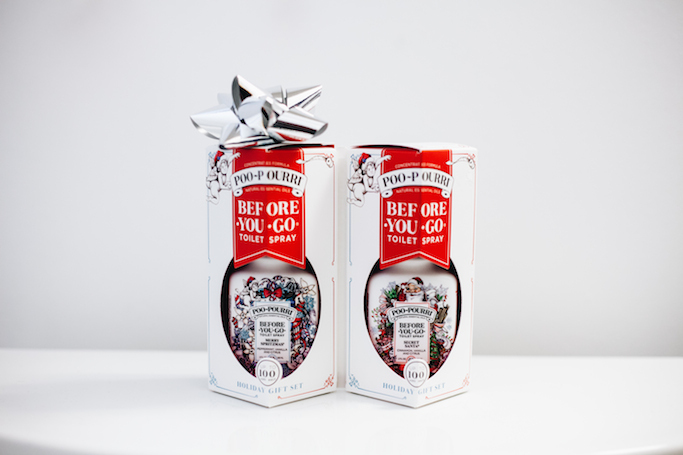 Find out more about Poo~Pourri Before-You-Go® Toilet Spray, and other creative ways to use it, for the holidays here! 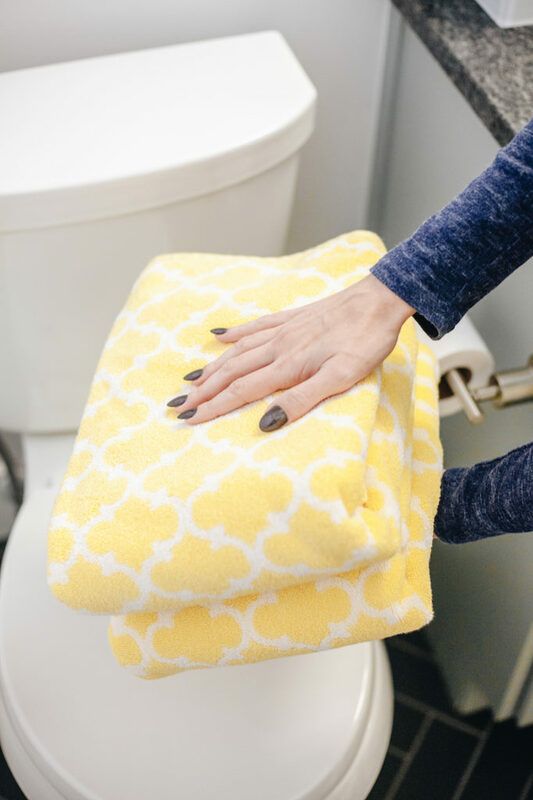 Since we’re already talking about the toilet, let’s hit a few other holiday houseguest bathroom tips that relate…like toilet paper! 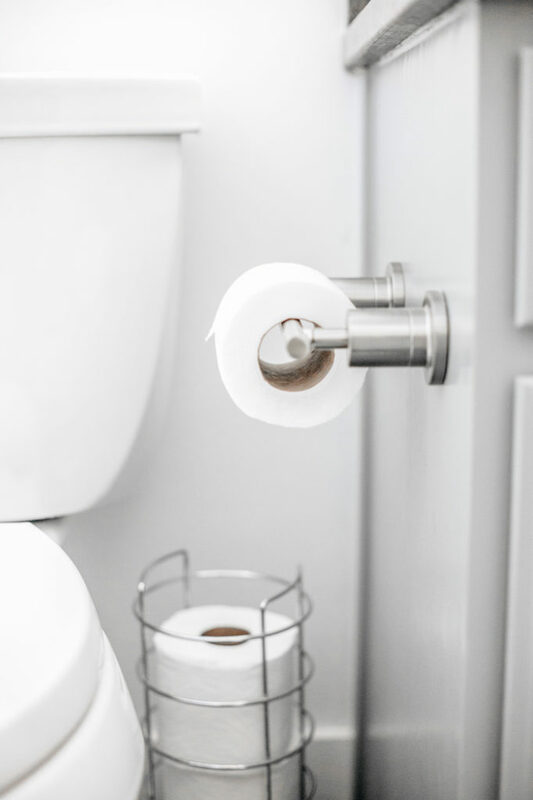 Make sure to have at least two extra rolls on hand and easily accessible for guests. There’s nothing worse than realizing you’re out and not knowing where to find extras! 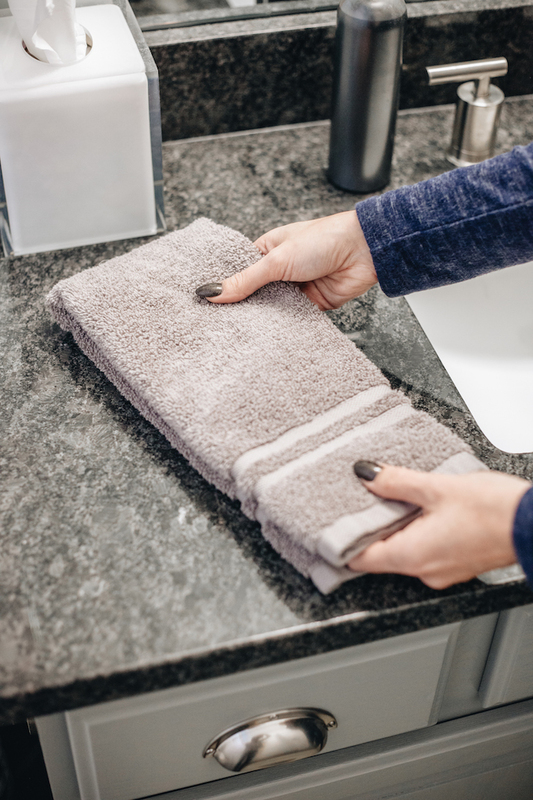 Place them in an area that’s easy to access or somewhere most people would check, like under the sink! I also like to keep some feminine care products under there too, just in case a female guest has an unexpected visitor! Another item to keep handy? A plunger! You never know what might happen and having to ask the host of the party for one is definitely a worst nightmare type of situation for a guest! I also like to keep some daily essentials on hand too, just in case an overnight guest may have forgotten to pack something. 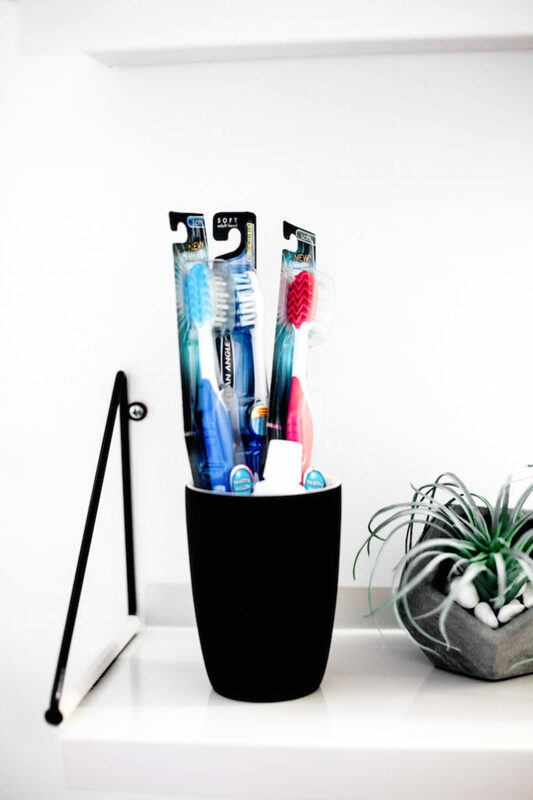 Extra toothbrushes, travel sized toothpaste, floss, cotton balls, and cotton swabs are all great items to have one hand and make the list for more of my holiday houseguest bathroom tips. 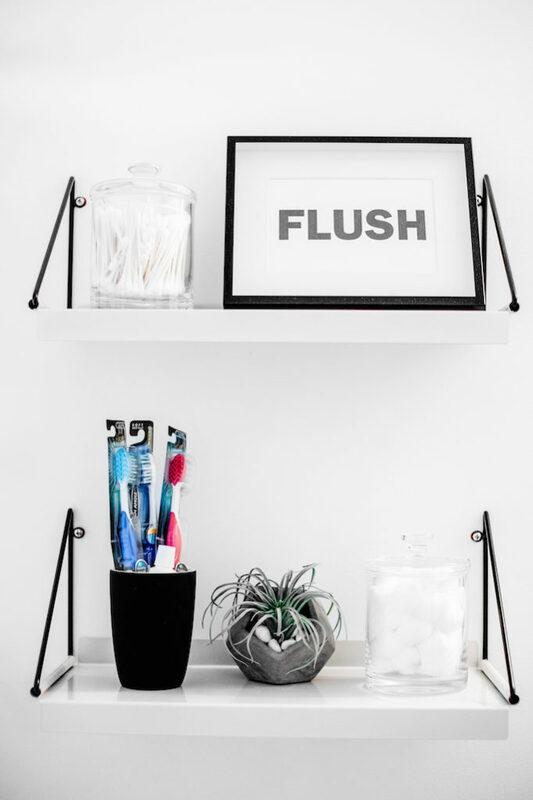 Display them in glass storage containers for a pretty addition to the bathroom that doesn’t distract from your other decor!